The American alligator is an icon of conservation and biological science in the United States. This species has arguably one of the most volatile, yet rich histories in terms of conservation, wildlife management, and scientific research. Due to this, American alligators often serve as a model for crocodilian science on a global scale. 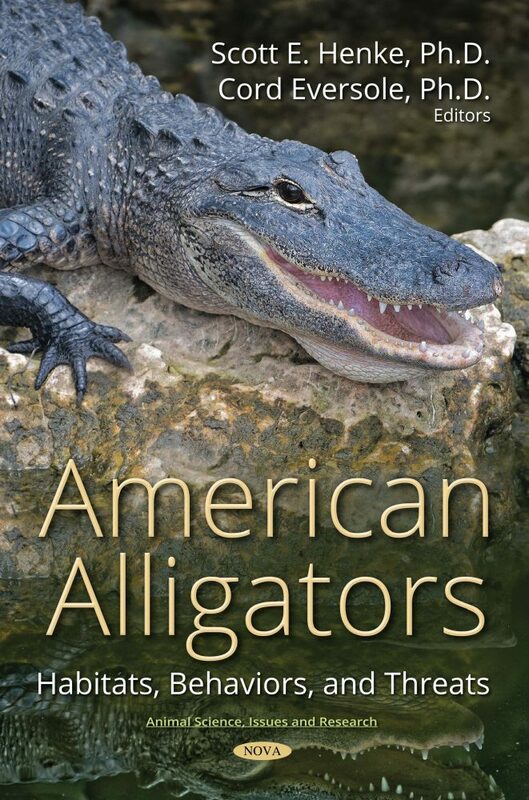 American Alligators: Habitats, Behaviors, and Threats is an essential addition to the library of vertebrate scientists, herpetologists, and most importantly crocodilian biologists. The book contains the most comprehensive, up-to-date knowledge about American alligator biology, behavior, distribution, diet, ecology, genetics, habitat use, physiology, parasitology, toxicology, and management by the leading experts of alligator professionals from around the world. Each chapter contains a comprehensive description of past research concerning each topic, new knowledge and interpretations of the topic, and suggestions of future research needs. This all-encompassing approach to the synthesis of past, present, and future knowledge of American alligators will make this a highly sought and referenced volume of work. Authors are a mix of next-generation scientists who have distinguished themselves as crocodilian biologists, as well as those who are well-established within herpetological circles. Chapter authors include Kimberly Andrews, Richard Bauer, Gary Calkins, Warren Conway, Ted Joanen, Michelle Lawing, Abigail Lawson, Mark Merchant, Chris Murray, Brent Newman, James Nifong, Adam Rosenblatt, Wade Ryberg, David Saalfeld, Gregory Skupien, Bradley Strickland, Helen Sung, William Sutton, Marisa Tellez, and Jonathan Warner, as well as chapters written by the co-editors Cord Eversole and Scott Henke. Cord B. Eversole received his Ph.D. from Texas A&M University-Kingsville and has 15 years of experience working with alligators and other herpetofauna. He has worked as a wildlife researcher for the Caesar Kleberg Wildlife Research Institute at Texas A&M University-Kingsville since 2010. Scott E. Henke is a research scientist with the Caesar Kleberg Wildlife Research Institute and a Regents Professor and Chair within the Department of Animal, Rangeland and Wildlife Sciences with Texas A&M University-Kingsville. He also is co-editor of the book Becoming a Wildlife Professional. The two researchers have teamed up and published extensively within herpetological journals, with the main emphasis of their collaborative research concerning the American alligator.